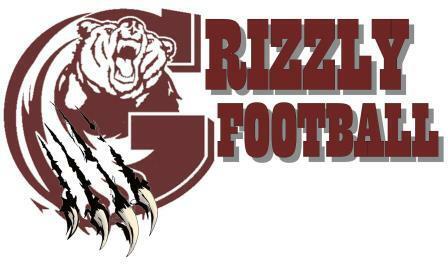 The Gainesville-Haymarket Youth Football League (GHYFL) Grizzlies organization began in 1999 and is a member club in association with the Fairfax County Youth Football League (The FCYFL) A full contact football league. You can also refer to the FCYFL website for league rules, field directions and closures, standings, player participation rules, etc. The GHYFL is a non-profit organization dedicated to providing a character building program for both boys and girls of the Gainesville-Haymarket area. Through fundamental instructions associated with youth tackle football and cheerleading, we expect to foster and maintain the core values of Honesty, Loyalty, Integrity, Discipline, Respect, Sportsmanship and Commitment to be the highest standards associated with achievement, both athletic and academic. Understanding that “it takes a village to raise a child”, we encourage our coaching staff and volunteer parents to provide a responsible environment that strives to demonstrate these values on and off the field; in victory or in defeat. Our organization prides itself in recognizing that athletics not only promotes physical well-being but also provides a healthy environment conducive towards the development of strong, active and productive leaders in our society. While placing an emphasis on sportsmanship and safety, we will strongly encourage our Coaches, Players, Cheerleaders, and Parents to act as positive role models within our organization and towards our competitors.